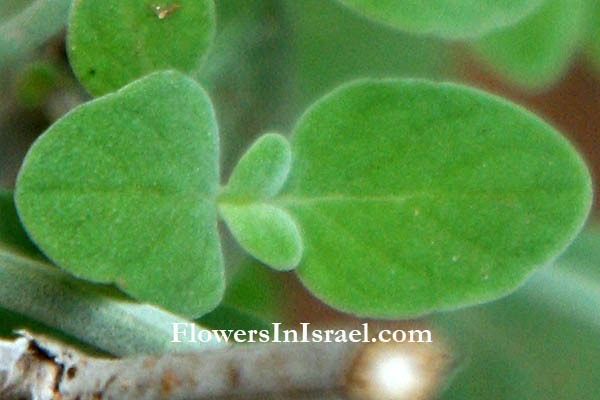 Synonym name: Micromeria serpyllifolia (M.Bieb.) Boiss. Micromeria, mikros (Greek), "small", meris, "a part"; the flowers of these low-growing herbs and sub-shrubs are very small. fruticosa, frutex (Latin), "a shrub", therefore, shrubby, bushy. 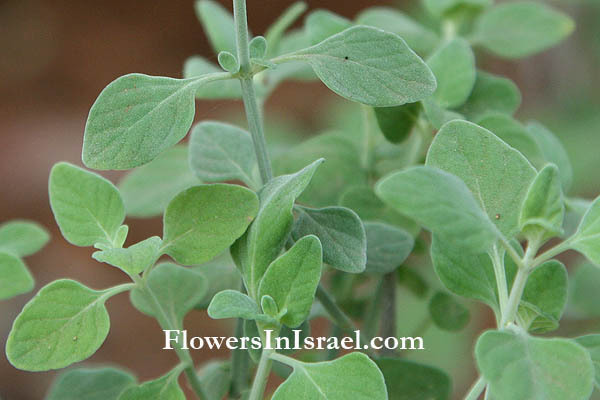 serpyllifolia, with leaves like Thymus serpyllum. The standard author abbreviation Druce is used to indicate George Claridge Druce (1850 – 1932), an English botanist and a Mayor of Oxford. The standard author abbreviation M.Bieb. is used to indicate Friedrich August Marschall von Bieberstein (1768 - 1826), a German explorer. The standard author abbreviation Boiss. is used to indicate Pierre Edmond Boissier (1810 – 1885),a Swiss botanist, explorer and mathematician. 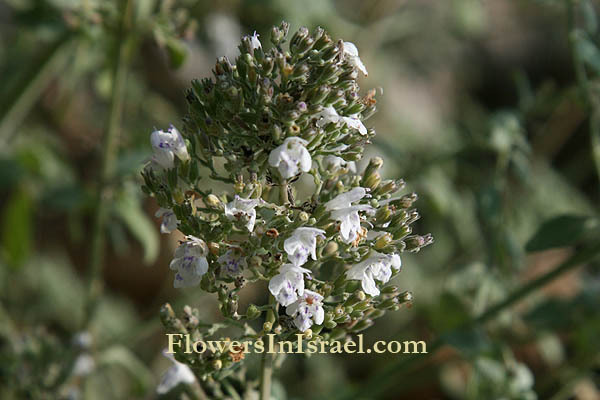 Micromeria fruticosa, a native herb, the leaves are used for tea.